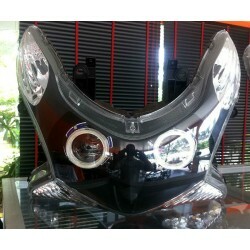 Xenon / Led PCX v1 There are 6 products. 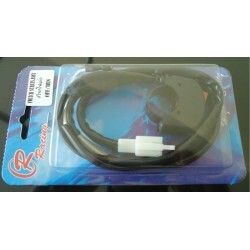 Accessory made by Ourself for Honda PCX 125 and 150 v1 v2 models 2010 2011 2012 2013 Xenon Light install on the Genuine Headlight Unit Sold with new Alimentation box for Xenon and Angel Eyes and New Alimentation Cable. 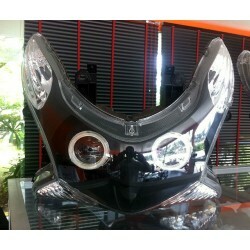 Accessory made by Ourself for Honda PCX 125 and 150 v1 v2 models 2010 2011 2012 2013 Xenon Light install on the Genuine Headlight Unit Interior Headlight paint in Black Sold with new Alimentation box for Xenon and Angel Eyes and New Alimentation Cable. 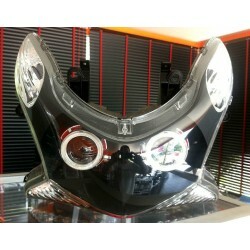 Accessory made by Ourself for Honda PCX 125 and 150 v1 v2 models 2010 2011 2012 2013 Xenon Light install on the Genuine Headlight Unit Interior Headlight paint in Black Double Angels Eyes White and Red Sold with new Alimentation box for Xenon and Angel Eyes and New Alimentation Cable. 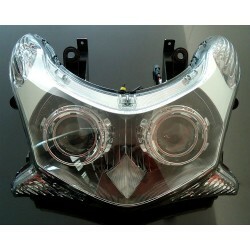 Accessory made by Ourself for Honda PCX 125 and 150 v1 v2 models 2010 2011 2012 2013 Xenon Light install on the Genuine Headlight Unit Interior Headlight paint in Black Double Angels Eyes White and Blue Sold with new Alimentation box for Xenon and Angel Eyes and New Alimentation Cable.